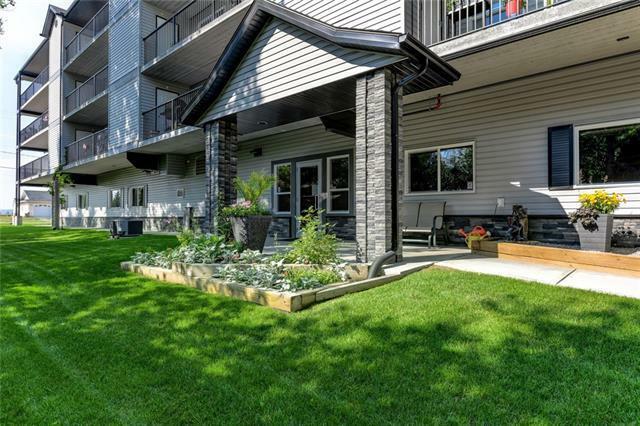 The PERFECT LOCATION Privately located off a side street, yet walking distance to shops & restaurants, this TOP FLOOR apartment is loaded with features & amenities. This quiet, ADULT-ONLY building was built in 2014 with lifestyle in mind. 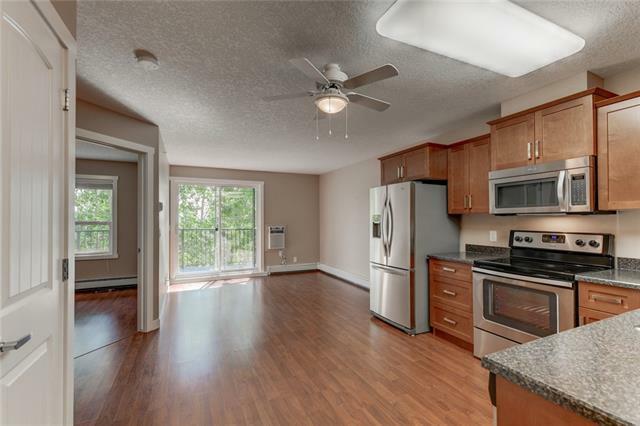 The foyer greets you with a large social room on one side & convenient guest bath on the other. 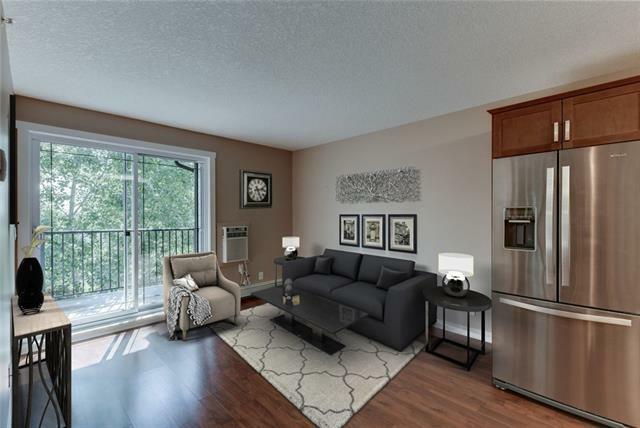 A quick elevator ride & you're walking down picture lined hallways to this open concept unit w/ kitchen (s/s appliances), eating area & living room showcasing gleaming laminate flooring & room A/C. The 2nd bedroom/den has a french door & a bright window. A large laundry room with shelving, main bath, & then the spacious master suite with it's own bath. From the living room step out onto the East facing balcony Green trees & fields are your private view! 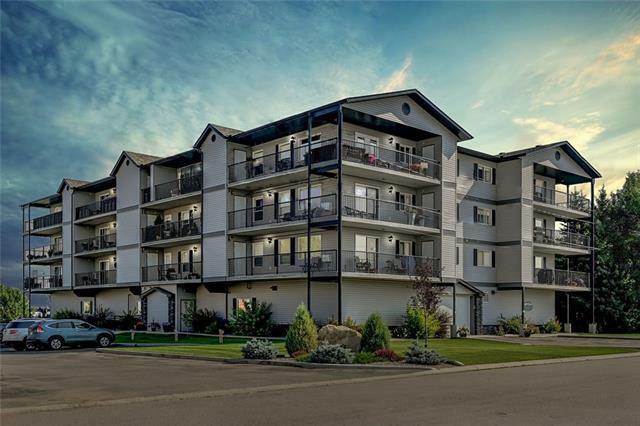 Add in a storage locker at EACH END of the balcony, the building setup w/ an EXERCISE room, WORKSHOP, PARKADE you could eat off the floors of & tons of VISITOR PARKING, & you really do have it all!